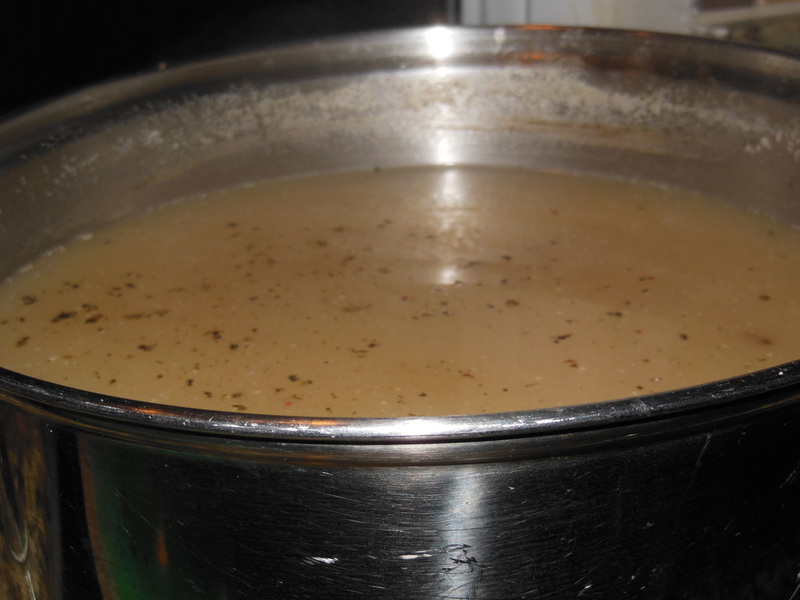 Vichyssoise is a smooth soup of pureed leeks, onions and potato and cream. I made a quick healthy version. 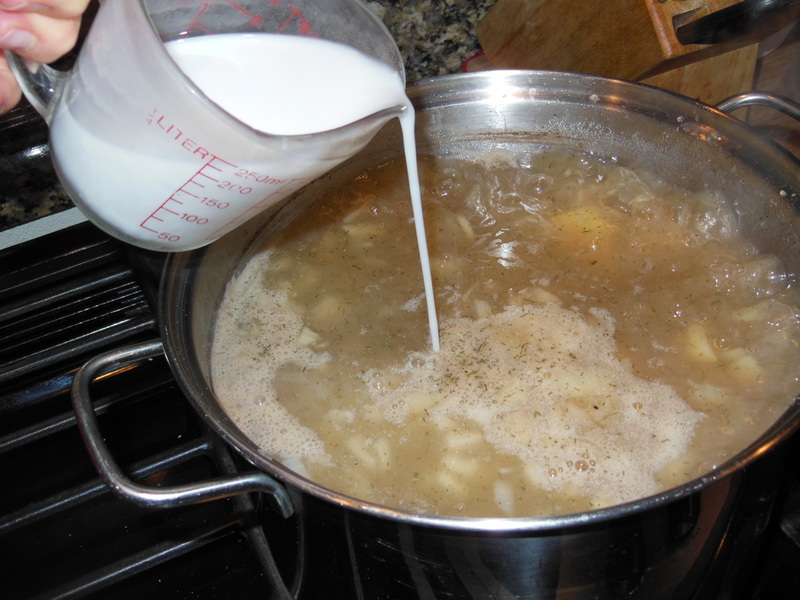 You will find this soup made with heavy whipping cream, half and half and sour cream. 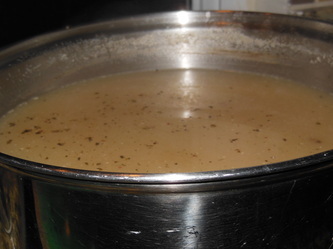 I have replaced the cream with light coconut milk and replaced the chicken stock with onion stock. I added rosemary along with the dill. Let's just call this Healthy Cold Potato Soup and leave it at that! I have seen some recipes use celery but in this I did not use leeks or celery but may try both next time. Let's start with peeling and dicing the onions. Place all your onion discards in the soup pot including the tops , bottoms and skins. 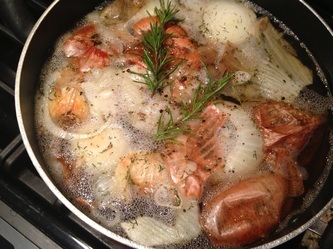 Add a dash of dill, rosemary, salt and pepper and bring to boil. 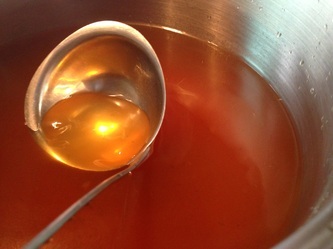 Allow to simmer the entire time it takes you to prepare the following steps of this recipe. .The color and tasty broth this makes is amazing. You will then strain and use in this soup. You can also use a vegetable stock or a chicken stock if you like. 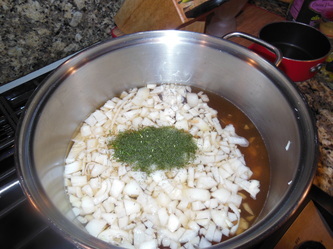 Now that you have the broth on a simmer let's make the soup. 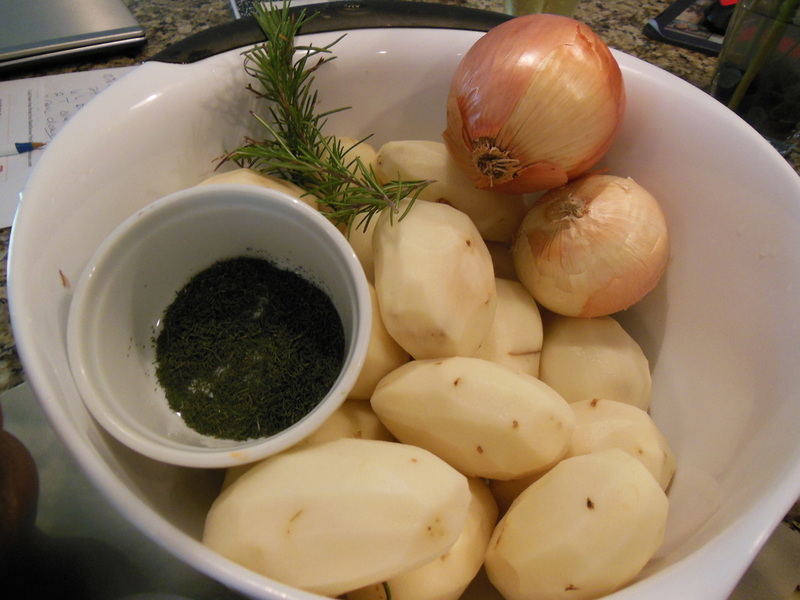 Chop the onion, Peel and dice the potatoes. Chop the fresh dill and rosemary. This should take about 15-20 minutes. 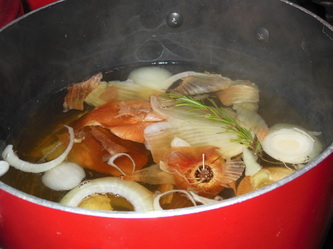 Strain the onion broth and bring clear broth to a boil. Drop in onions and potatoes, dill, rosemary , salt and pepper.. Cook for 15 minutes. Add coconut milk and stir soup cook for an additional 5 minutes.. Remove from heat. 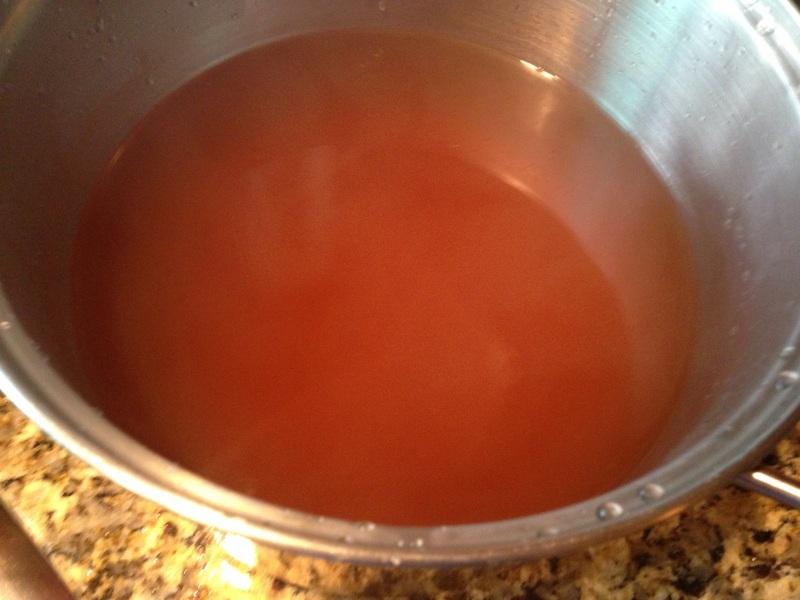 LET COOL and puree in batches in a food processor or blender. (DO NOT PUREE THIS SOUP WHILE IT IS STILL WARM) Serve cold with a garnish of scallions, fresh rosemary, cracked black pepper or turkey bacon crumble. 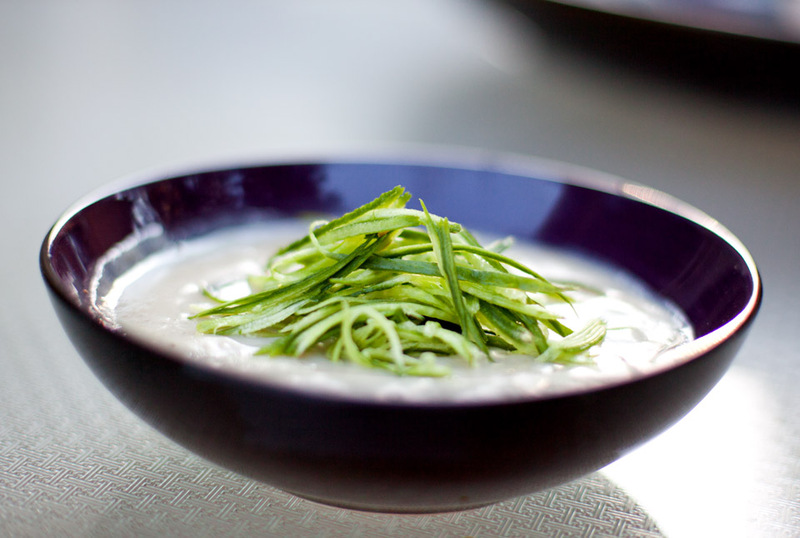 A chilled bowl is nice when serving a chilled soup. Cold Potato Soup is so easy and so fun for a nice warm day. Hope you enjoy this lower calorie version of this soup. 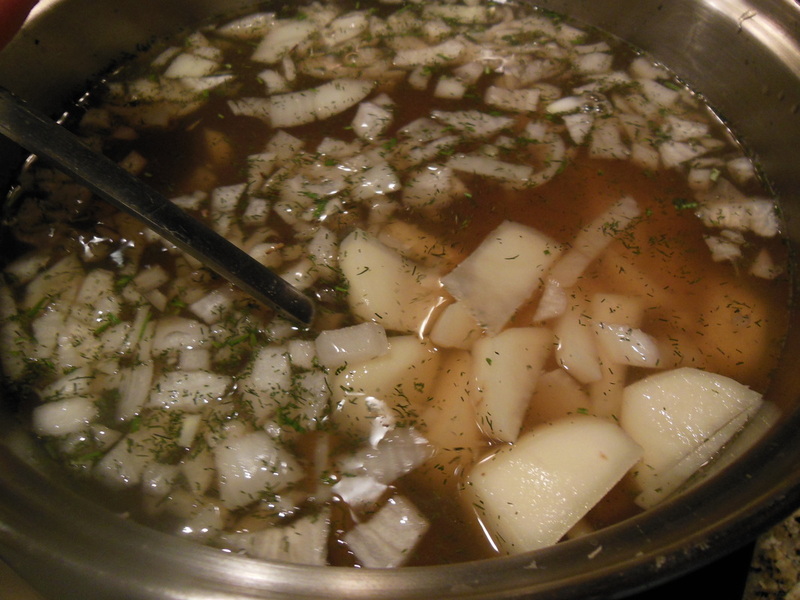 Starting with the lovely onion skin broth and adding the potato and coconut milk make this a very nice warm weather soup.